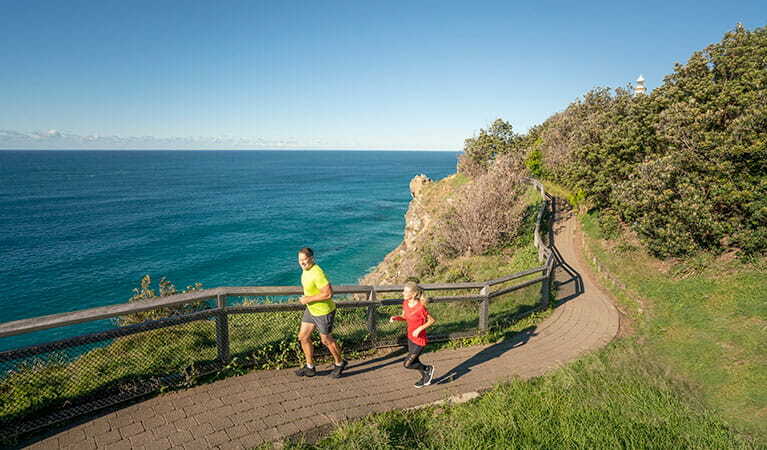 Enjoy spectacular coastal views along the Cape Byron walking track that takes you on a hike through rainforest, beach, grassland and clifftops to the lighthouse. 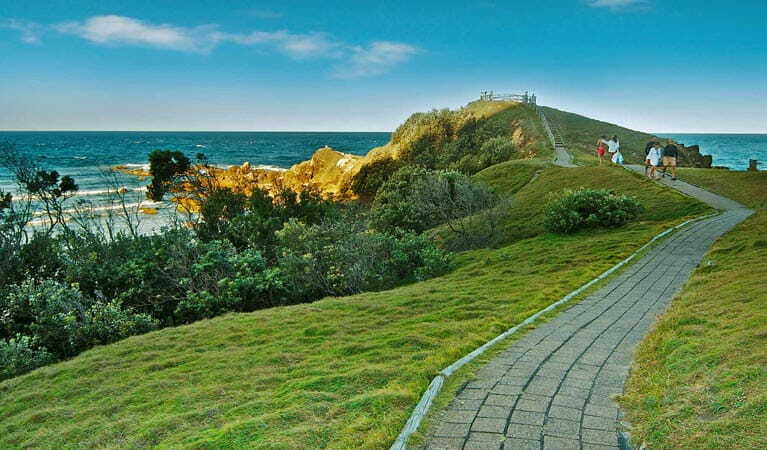 You’ll need a good two hours to properly experience the Cape Byron walking track – but it’s so rich in delights, so don’t be surprised if you reach the end and feel like doing it all again. 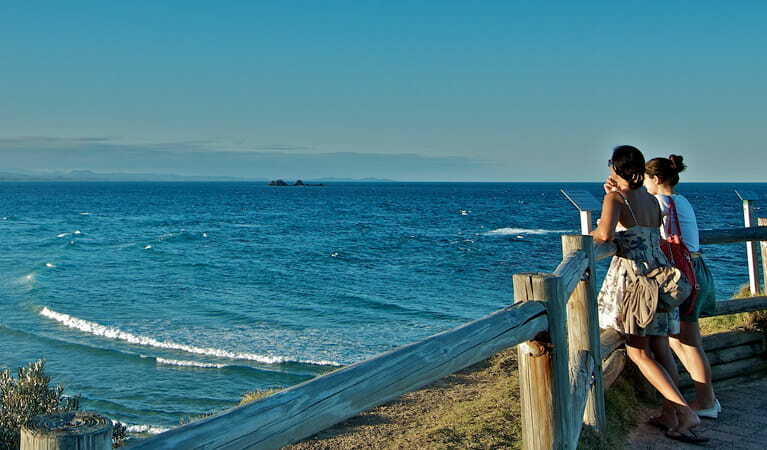 In fact, it’s one of the best ways to spend a couple of hours on the state’s entire coast. The 3.7km loop leads you on a hike through rainforest and across clifftops with stunning views of the ocean and hinterland. 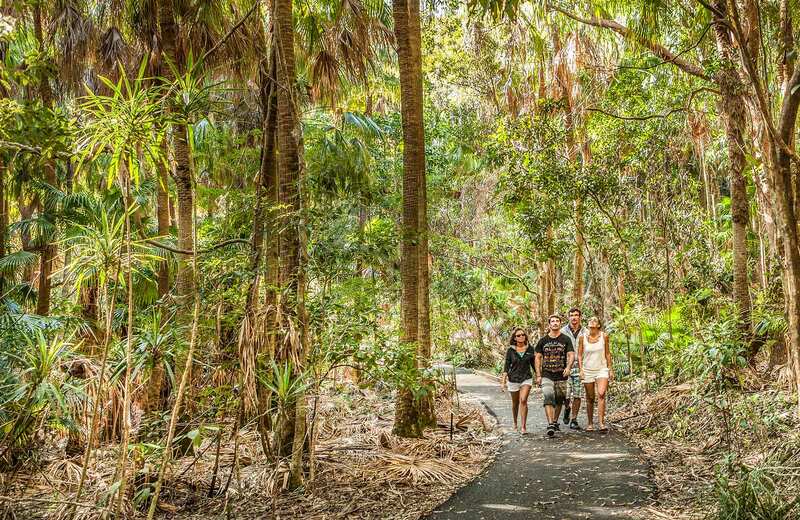 En route you’ll wander through the shade of bangalow palms and ancient burrawangs, across kangaroo grasslands, along picturesque beaches and up to Cape Byron Lighthouse. Remember to keep an eye out on the water for turtles, dolphins, stingrays and, in season, whales. If you’d prefer an easier walk, the track can be accessed at numerous points and walked in shorter sections. 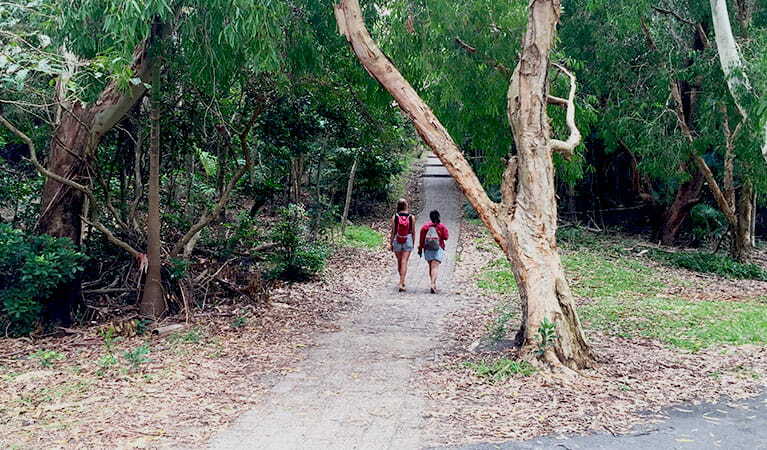 Take a virtual tour of Cape Byron walking track captured with Google Street View Trekker. Download the app and discover the magic of the Cape on your own. 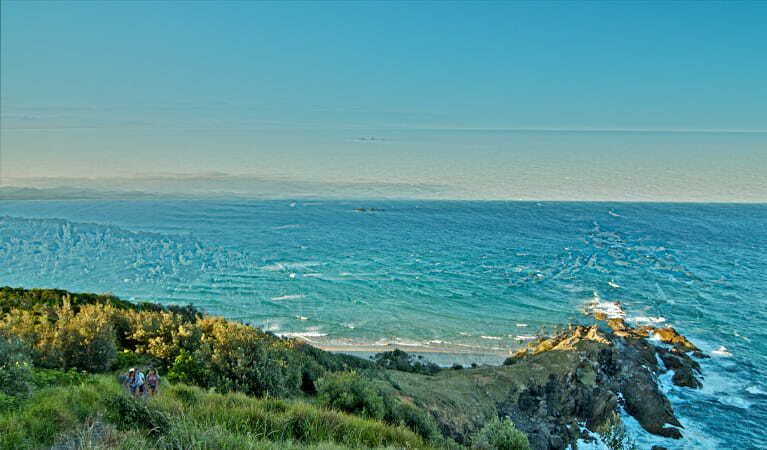 'Around the Cape' starts at Captain Cook lookout and passes rainforest, rocky shore and beach before winding up at the lighthouse and returning via sheltered forest.